Let’s revisit some classics. 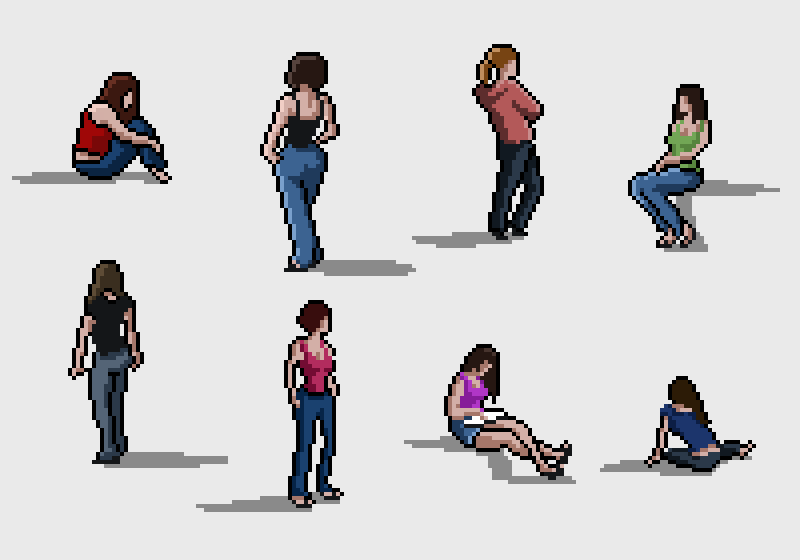 This week, three pages of pixel figure drawings, and one page of pixel street sketches, using as reference some of my old sketches from 2004, nearly ten years ago. For that page I’m trying the black outline style commonly seen in actual game sprites. It’s a neat effect … I’m not sure which style I like better.